Established in 2007, Harmony Escrow has built a reputation as your trusted real estate partner. We view your success, and the success of your clients, as our own. We focus the same intensity on developing long-term personal relationships that we apply to ensuring your real estate transactions are executed smoothly and on time. Visit Harmony Escrow online. Trustee Corps conducts non-judicial foreclosures in the states of California, Nevada, Arizona, Washington, Oregon, Texas and Idaho. Trustee Corps began in 1992 as a foreclosure trustee, providing services in California. 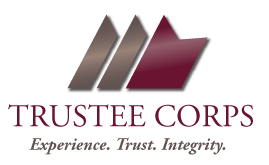 Over the last two decades, our reputation for reliable, client-focused guidance and support has allowed Trustee Corps to become one of the leading full-service default solutions firms in the country. Headquartered in Irvine, California, and with branches throughout the western United States, we offer the experience, trust and integrity you need, and the personal service you deserve.